Marble is the kind of sticky monster who sees the positive in anything, and loves seeing what your child will create next! The curly hair and tail make Marble a delightful character to play with. All 12 blocks are compatible with the entire Tegu range. A bit of a dizzy thing, Marble loves fixing things, and your child can help by making Marble short, tall, do the splits or even fly! 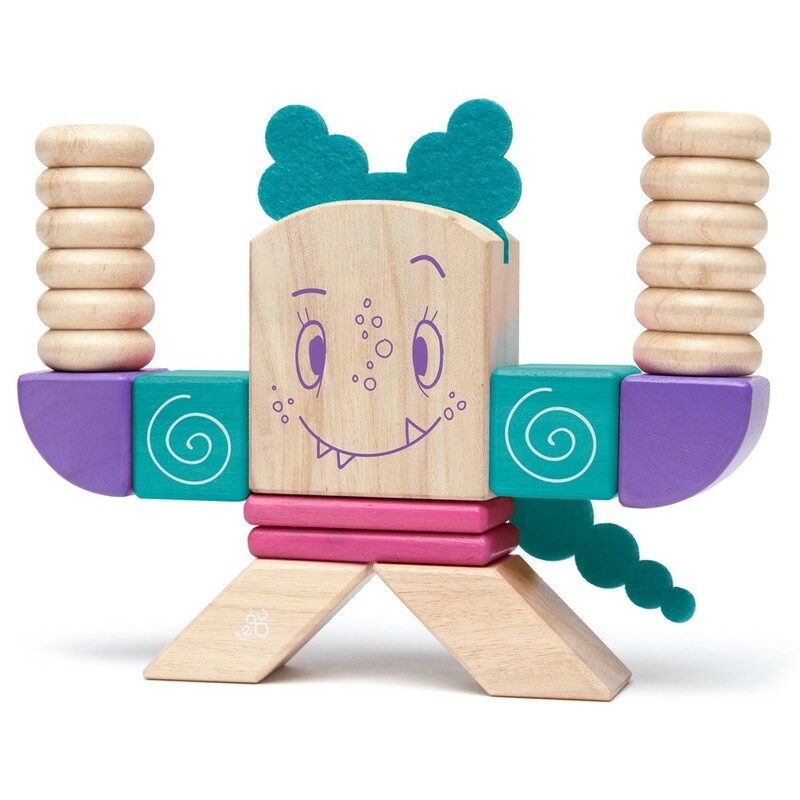 The horso (head and torso) piece is a brilliant size for little hands, and makes a great first Tegu pack for toddlers. 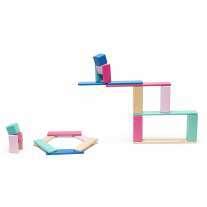 The powerful magnets in each of the Tegu blocks make building and creating an extremely inventive and silly time. 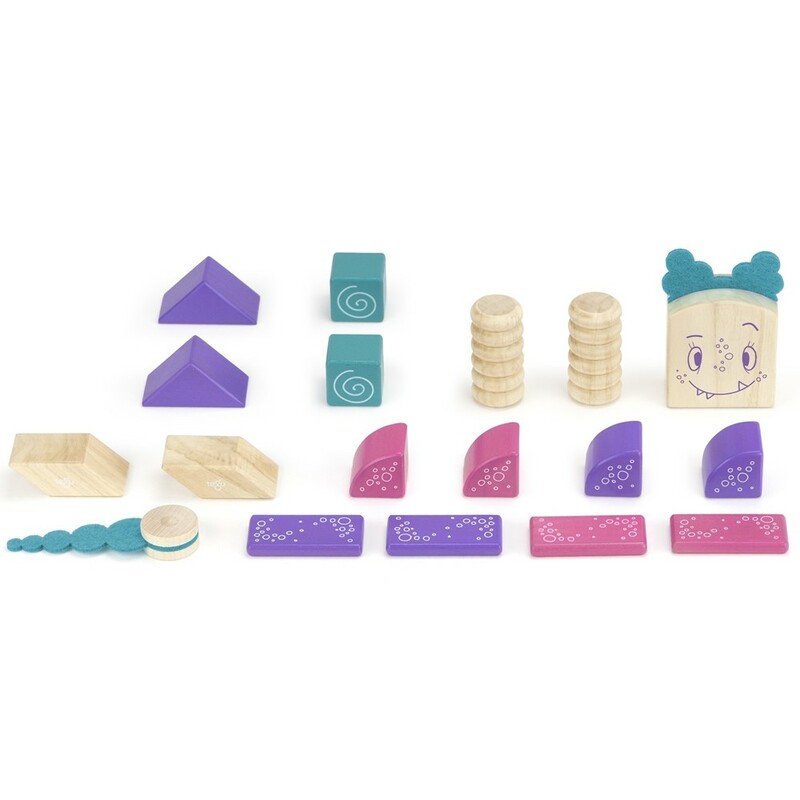 The range of shapes in this sticky monster pack is ideal for introducing toddlers to basic shapes such as cubes and triangles, while older children can start to understand how 3D shapes work, and how to use the attracting force of magnets to their advantage - without even realising they are learning basic science! Marble's bubbly character invites a whole host of stories, and children of all ages will delight in adding Marble into their role play, no doubt leaving a whirlwind of adventure behind. 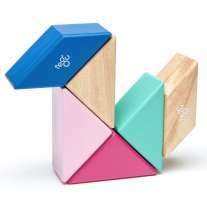 The pink, purple and teal blue blocks contrast beautifully with the natural hard wood, with non-toxic water-based lacquer used throughout. 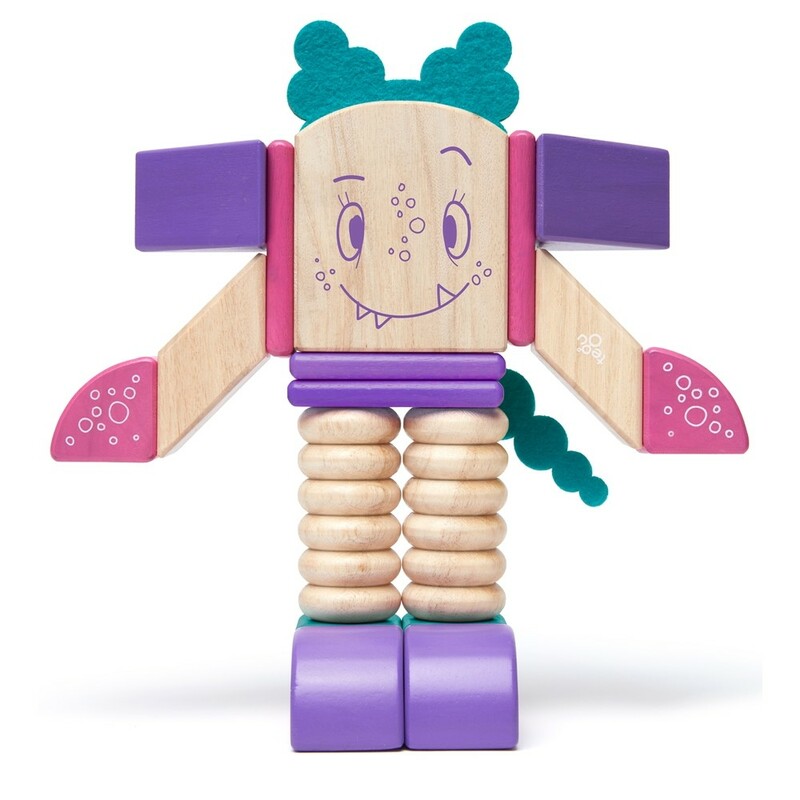 Powerful magnets within each wooden block bring a new dimension to building blocks, as children discover the forces of repelling and attraction to create gravity-defying constructions - and the Tegu sticky monsters think the sillier, the better! 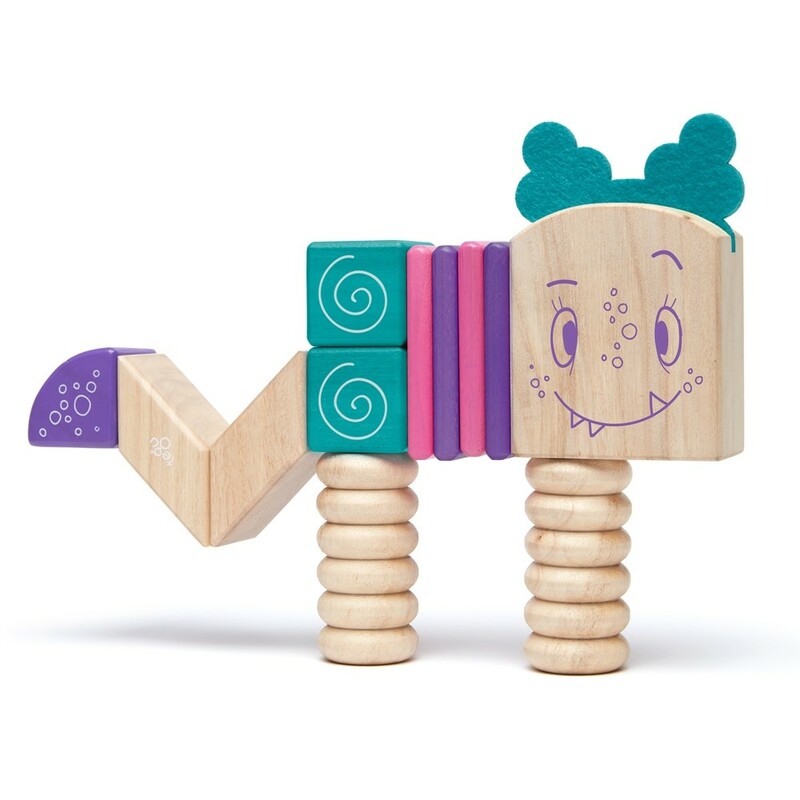 The use of natural wood reminds us of the durable, safe quality of wooden building blocks we know and love, while the bright colours and bubble graphics reflect the wonderful twist Tegu have brought to a classic wooden toy. Please note: This product contains small magnets. Swallowed magnets can cause complications leading to serious infections and death. Seek immediate medical attention if magnets are swallowed or inhaled. Sustainability, social change and a love of play are key to Tegu. From hand selecting every single tree with local Honduran cooperatives, where a single tree can create over 1200 sets of blocks, to planting up to 10 trees for each set sold. 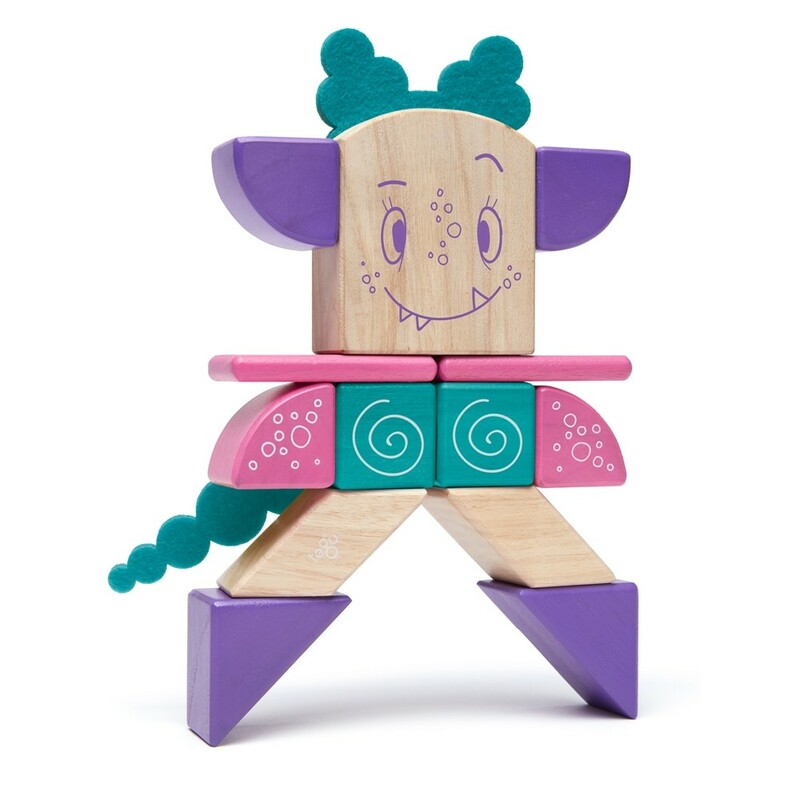 Tegu only purchases wood from FSC certified companies and uses a water-based lacquer incorporated with colour pigments, so the blocks are all non-toxic. 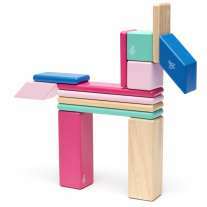 The original Tegu block is 30mmx30mm – the perfect size for little hands, and this forms the basis for every single Tegu block made. 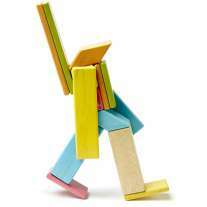 Each magnet is specifically position within the block to aid play. 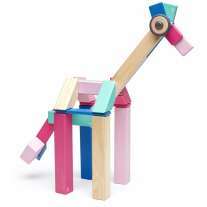 Watch as your child discovers scale, fractions, fine motor skills, design and engineering, without even realising!